Come and experience an ice cave in Iceland. 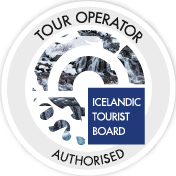 This tour will take you to a beutiful ice cave in Europe’s biggest ice cap glaciers, Vatnajökull. Come and explore an ice cave in Iceland! This ice cave tour will take you to Breiðamerkurjökull, one of the stunning outlet glaciers of Vatnajökull glacier, the largest glacier in Europe. You will meet your experienced glacier guide at Jökulsárlón glacier lagoon and from there you’ll go off in a specially modified super jeep. This hike is perfect for explorers that are up for a longer hike with spectacular photo opportunities. The walk up to the ice cave is approx. 1-1 1/2 hour, with beautiful scenery of the stunning wild landscape. You get to explore the glacier environment, enjoy a view out of this world, go into the glacier and experience the glacier’s beauty, an ice cave adventure with all its colors and beauty! Also you get a different angle of this amazing natural phenomenon Jökulsárlón and explore Iceland most unique natural ice caves at once. A Glacier Journey is truly a unique experience. An experienced local guide leads the way and shares a wealth of fascinating information about glaciers, ice fields and their impact on our environment during our journey, making sure everyone enjoys themselves to the fullest. Your guides will provide you with safety equipment (helmet and crampons, ice axe and hardness) and the fun begins! Note that this tour is rather difficult and requires a reasonable level of fitness from participants. This tour is operated by our friends at Glacier Journey. This small, family run company is located right underneath the Vatnajökull, Europe's biggest ice cap glacier. Their passion is not only to create amazing experiences for their guests but also to protect and preserve the nature that surrounds them.